Celebrate Banned Books Week at Central City Public Library Sept. 24-29! 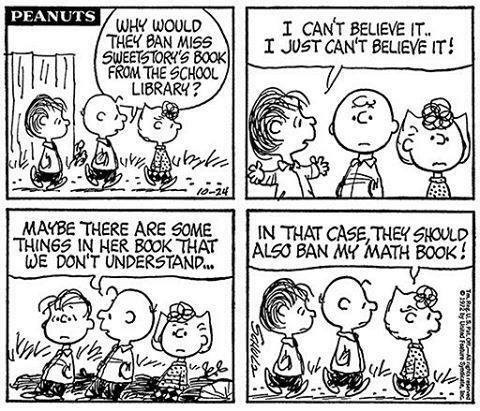 The Peanuts gang can’t believe that Miss Sweetstory’s book got BANNED from their school library! This week is #BannedBooksWeek. CELEBRATE YOUR FREEDOM TO READ! Stop in each day throughout the week and REGISTER TO WIN a banned book! We’re giving away one each day this week! Today’s book we’re giving away is “I Know Why the Caged Bird Sings” by Maya Angelou.